If you wish to support public [[television_or_media]] in a larger way but still wish to retain an interest in your property for your benefit or the benefit of your family, a charitable remainder trust (“CRT”) may be a flexible option for you. Once the trust ends, the remaining assets in the trust will pass on to [[station_name]] and perhaps other charities you decide to name. You will receive annual payments for life, a portion of the payments will be tax free for a period of years. You will have the satisfaction of knowing the impact of your gift will be multiplied when it's combined with the gifts of others who equally believe in the power of public television. 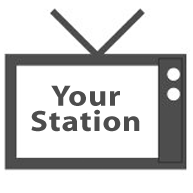 To learn more about creating a charitable remainder trust to support the future of [[station_name]], please contact [[contact_name]] at [[contact_phone]] or [[contact_email]]. We would be honored to work with you and your advisors as you consider your plans.